Kansas State University became the international center of landscape architecture education during the week of March 25th when over 300 educators representing 13 countries attended the annual Council of Educators in Landscape Architecture meeting on campus. Hosting the conference was a department-wide effort led by Professors Blake Belanger, Tim Keane, Katie Kingery-Page and Stephanie Rolley. 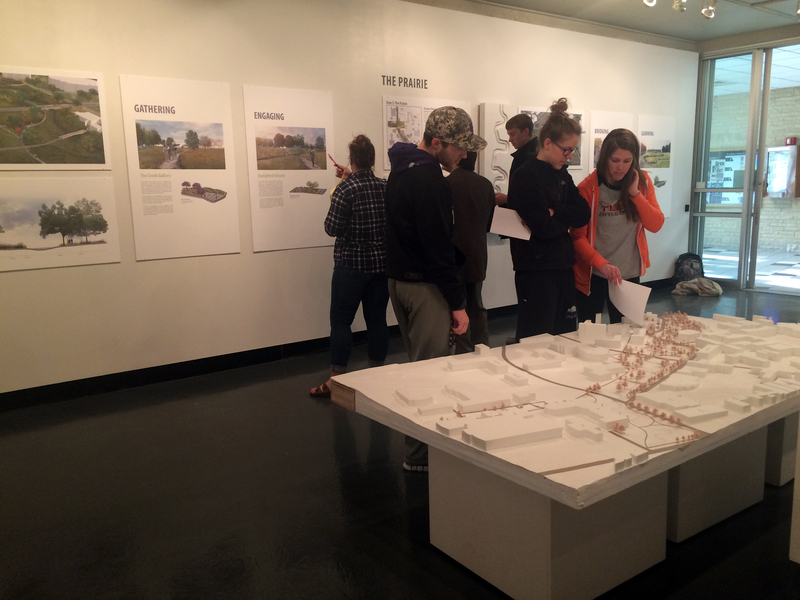 The team was assisted by a K-State Global Campus conference planner, and MLA students Jonathan Knight and Beth Krehbiel as well as the majority of landscape architecture faculty who led field trips, moderated sessions and served as hosts throughout the meeting. 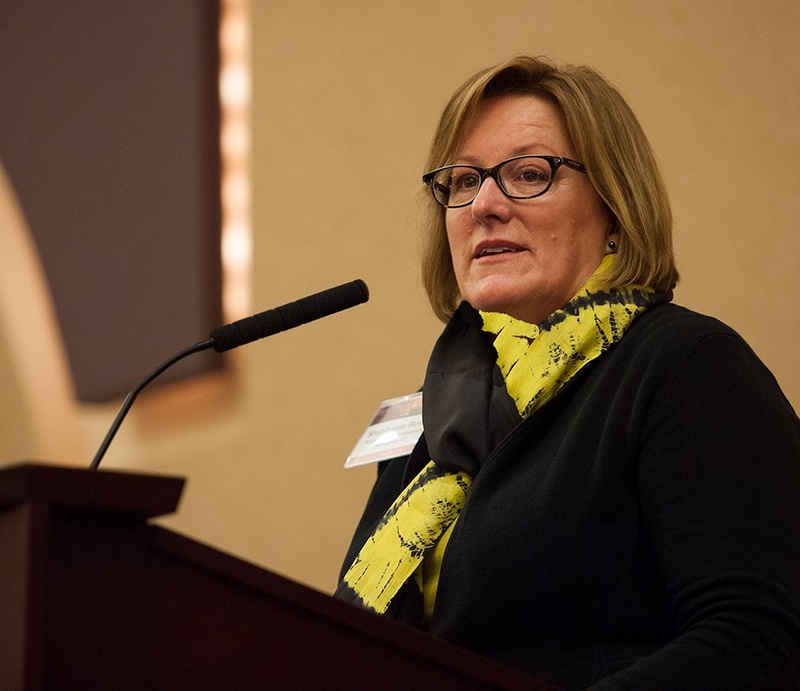 In addition to sharing K-State landscape architecture with a broad audience, hosting the conference made it possible for a new endowed scholarship to be established with proceeds. Proceeds from the conference are due to two key factors: careful management and generous sponsorship. Among the CELA 2015 sponsors were two KSU alumni firms: EDSA was an Incite Change | Change Insight Sponsor and Confluence was a Contributor. Field trips introduced attendees to the best of the Flint Hills including the Tallgrass Prairie National Preserve, landmarks in the Kansas civil rights movement, the Konza prairie and The Land Institute. Professor Lee Skabelund led a pre-conference green roof workshop and Routledge Press provided a pre-conference book writing workshop. Professor Howard Hahn facilitated a special workshop led by Vectorworks. Below you will find photos of the exciting event! Department Head and Professor Stephanie Rolley kicked-off the conference with opening remarks. 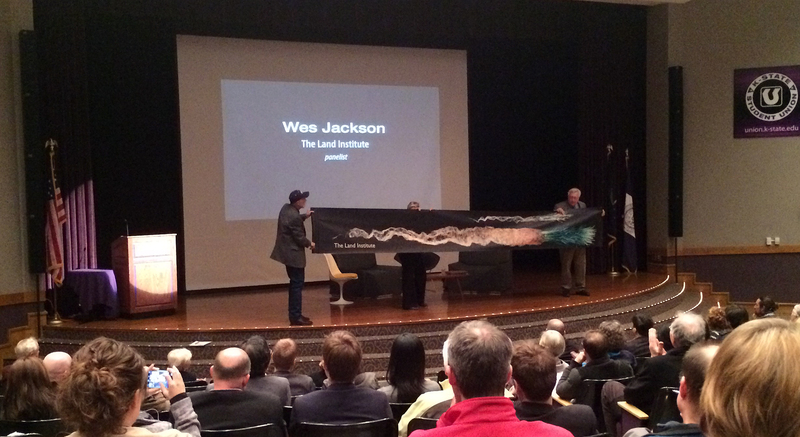 Dr. Tim Keane, KSU, helped Wes Jackson, founder and president of The Land Institute, unfurl a life size banner of Andropogon gerardi, before a panel discussion featuring Dr. Jackson, Lauren Bon (Metabolic Studio) and Richard Forman (Harvard University), led by Krisina Hill (University of California, Berkeley). 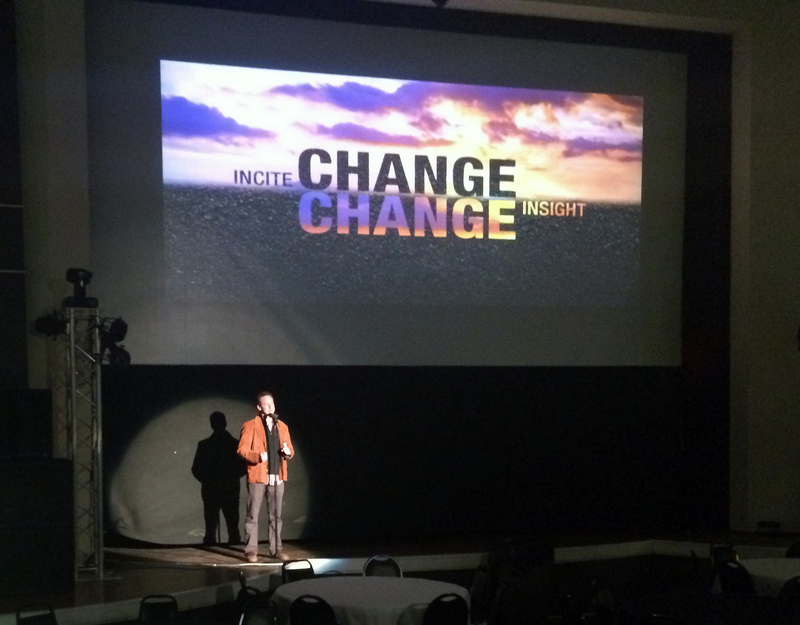 KSU Professor Blake Belanger introduced the inaugural CELA film session exploring the conference theme at the Wareham Opera House in downtown Manhattan. Blake led the external review of submissions to identify the eleven film screened, including KSU Professor Jon Hunt’s Animating Poetics of the Konza Prairie. The resounding positive response to the event led the CELA board to make a film session a permanent conference feature. 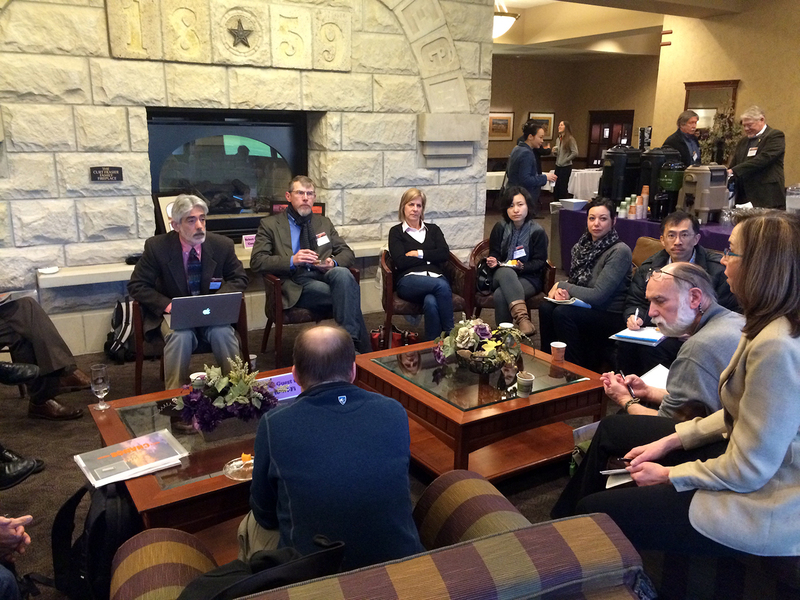 Landscape architecture program department heads from across the country met in the K-State Alumni Center. KSU LARCP faculty Jon Hunt, Jessica Canfield, Jason Brody and Katie Kingery-Page talked with current APDesign Ph.D. student Calayde Davey and University of Kentucky Professor Chris Sass, ’08 MLA, ’11 Ph.D. 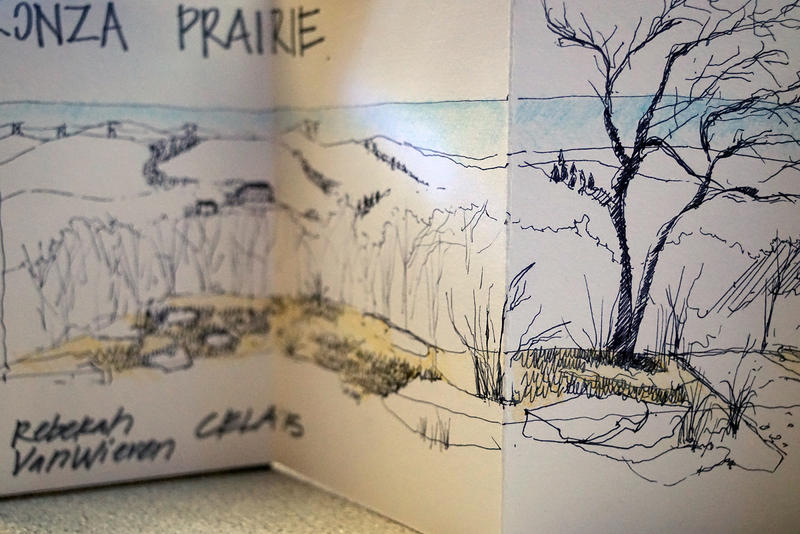 There were opportunities to (sketch) Crawl the Tallgrass and Crawl Manhattan. Participants displayed their work in an exhibit at the Wareham Opera House. CELA attendees were able to view the Re-Envisioning Campus Creek exhibit of the MLA advanced studio led by Professors Jessica Canfield and Tim Keane. Commissioned by the Provost, the studio’s work demonstrated how Campus Creek can be transformed into a resilient environmentally and socially beneficial campus feature, building upon the recommendations in the 2012 Campus Master Plan Update. 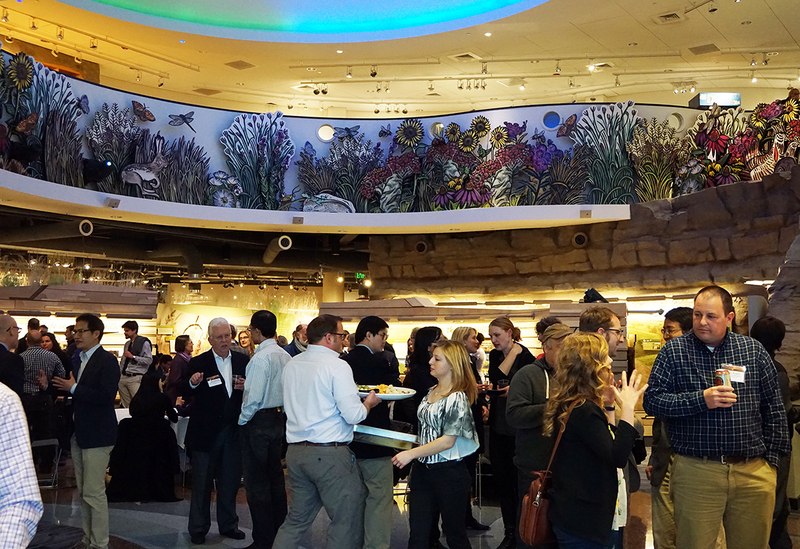 CELA 2015 concluded with a reception at the Flint Hills Discovery Center in downtown Manhattan. Thank you all who attended the CELA 2015 conference in Manhattan!